In today’s legal landscape, we see that there are some lawyers unwilling to take on wrongdoers when those wrongdoers are represented by huge insurance companies and their law firms. We founded Bachus & Schanker, LLC, because we wanted to do our part to help level the playing field - our goal is to give you and your family the power to take on even the largest insurance companies. At Bachus & Schanker, LLC in Denver, Colorado our lawyers represents injured people and their families. It is what we do! Our 25 lawyers and a team of more than 95 people are here because we want to help accident and Personal Injury victims. Our lawyers’ initial review of a potential injury and accident case is free and confidential. If, upon review, our lawyers believe the law and the facts support bringing a claim, we will tell you what we think. If, after consultation, Bachus & Schanker, LLC agrees to pursue the case, in most Personal Injury situations, we offer to represent our clients on a contingency fee basis. This means that our firm is only paid attorneys fees if there is a recovery, and even then, our attorney fee is an agreed percentage of the amount recovered. We know that the financial consequences of an accident can be devastating. That is why there is no cost for an initial review of your situation to see if there is a potential of recouping your accident related losses. To begin the initial confidential review process, just click here to complete a short form; on the bottom of this website or call your local Bachus & Schanker, LLC office telephone number listed at the top and bottom of the website. Or you can click here to live chat with us over your phone or computer. We serve all of Colorado. Why Choose Bachus & Schanker, LLC? Bachus & Schanker, LLC is a nationally recognized personal injury law firm committed to protecting and enforcing the rights of people injured by the negligence of others. In today’s legal landscape, we see that there are some lawyers unwilling to take on wrongdoers when those wrongdoers are represented by huge insurance companies and their law firms. We founded Bachus & Schanker, LLC, because we wanted to do our part to help level the playing field - our goal is to give you and your family the power to take on even the largest insurance companies. As one of the largest Personal Injury and Accident law firms in the region, the Personal Injury attorneys and car accident attorneys at Bachus & Schanker, LLC are committed to pursuing justice for people injured through someone else’s negligent, careless or reckless conduct. Since its founding, our Colorado firm has represented thousands of clients living throughout the United States. We have been designated by our colleagues as preeminent in our field. We are listed in the Bar Register of Preeminent Lawyers and have achieved the highest rating available from Martindale-Hubbell--the oldest attorney and law firm rating service in the United States. In fact, our founding partners have been named Colorado Super Lawyers by Super Lawyers magazine, a publication which recognizes elite attorneys in each state. Through our firm’s devotion to the rights of the injured, as well as its organization and infrastructure, you will gain access to a firm of attorneys who limit their practice to Injury and Insurance Law. Referring attorneys will be able to match the leverage and knowledge of big corporate firms to advocate the interests of their clients. For the injured and referring attorneys, Bachus & Schanker, LLC is solidly committed to one goal: justice for all. When you or a member of your family has been harmed because of someone else’s negligent, careless or reckless conduct, it is difficult to know where to begin. At Bachus & Schanker, LLC in Colorado, we are here to help Personal Injury and accident victims. Our attorneys work on behalf of our clients to take the guess work out of the injury compensation process so that our clients can focus on what’s most important - healing. That's what we strive to do. We are Colorado’s Injury Law Firm. Remember, there's no fee to you for an initial review of your case and situation. You can begin your initial confidential, free case review process right now. Corey and Ashley were very professional, communicative, and knowledgeable about every step of the case. We were hit by a drunk driver and didn’t know what the next step was to seek medical attention in a way that wasn’t a major expense to us. The attorneys here are super caring and got us a decent amount of money after paying off our treatment. I hope to never have to call a personal injury attorney but if I do it will be them. Our founding goal was to level the playing field between accident victims and large insurance companies, and Bachus & Schanker, LLC's core practice area is still Personal Injury law. Over time, Bachus & Schanker, LLC’s practice areas have broadened to include Workers' Compensation, Social Security Disability, and all forms of plaintiff’s employment law. Bachus & Schanker, LLC is also heavily involved in national plaintiff’s litigation addressing a variety of Defective Medical Devices, Products & Dangerous Drugs. Our trial practice is fully mature. Our 21,000-square-feet Denver office has a full courtroom, with state of-the-art focus group facilities. 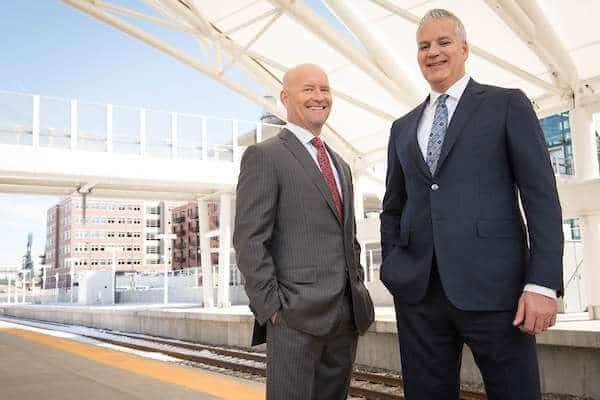 With offices in Denver, Aurora, Fort Collins and Colorado Springs, Bachus & Schanker, LLC has represented thousands of clients across the country. Our multiple Colorado office locations allow us to represent you, regardless of where you live in Colorado. Our firm is now made up of 25 lawyers and a team of more than 95 people, all dedicated to helping represent you and treating you and your case with integrity. Every potential client is treated with consideration and understanding. Many of us have experienced what you are going through and understand how this single event has changed your life. When you choose Bachus & Schanker, LLC to represent you, you are not just a case to us: we’re here to help you and your loved ones. Learn more about our community involvement and foundation. The personal injury attorneys at Bachus & Schanker, LLC have recovered more than half a billion dollars in awards & settlements for their clients. We are happy to discuss your case, what happened to your family, and your options at no charge to you. See our ratings and view a library of more than 40 of our real client video stories. We’re with you every step of the way. Learn exactly how the personal injury case process works.